Agricultural and consumer trends in Minnesota and across the nation are driving significant changes in Minnesota’s food environment. On the human health front, food-borne illness outbreaks across the country capture public attention, raise alarms about our food system and trigger closer scrutiny and regulation at the national and state level. Nutrition concerns have taken center stage as obesity and diabetes have risen to epidemic proportions, with the attendant impact on health costs. On the environmental side, there is significant concern among farmers and communities about the impacts of intensive, industrial-scale agriculture: soil erosion and toxic runoff, groundwater contamination and pesticide impacts on wildlife and beneficial insects. On the economic front, recession and corporate downsizing have driven many Americans into the entrepreneurial activities to support themselves and their families. Rapid growth in numbers and kinds of farmers’ markets have served as incubators of many new food enterprises and spurred some farmers to enter into value-added products or light processing activities. 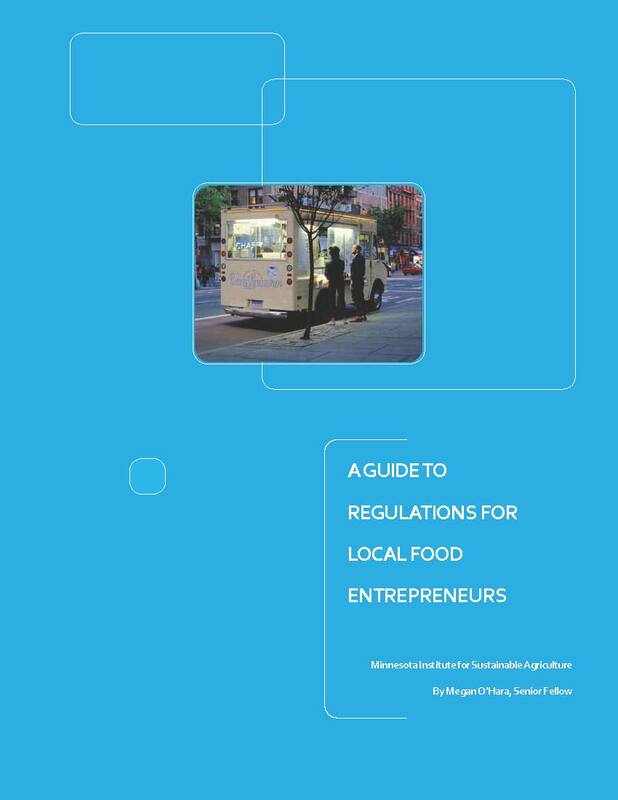 The growth of many small food enterprises has created challenges for local and state regulators to enforce existing food code and statutory requirements, many of which were written and developed in a different era. This Report starts with an overview of the federal, state and local regulatory framework that deals with food. It will be followed by the focus areas of entrepreneurial activities: farmers’ markets, mobile food units and commercial kitchens. "This publication was a collaborative effort of the School of Agriculture - University of Minnesota Endowed Chair in Agricultural Systems and the Minnesota Institute for Sustainable Agriculture"